It’s absurd to expect agency auditors to sort out confusing, outdated campaign finance laws and regulations. 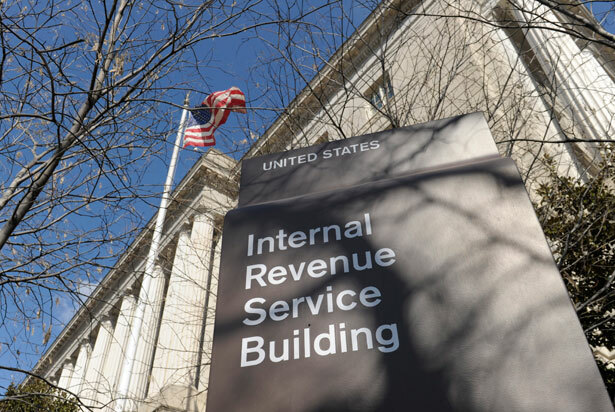 Now there are new allegations of political manipulation, amid revelations that the IRS clumsily targeted for stricter scrutiny groups that included the words “tea party” and “patriot” in their tax documents. Similar scrutiny was directed toward groups that “criticize how the country is being run.” Adopting the universal formulation of bureaucratic evasion, the IRS said that “mistakes were made,” adding: “but they were in no way due to any political or partisan motivation.” An IRS inspector general’s report found no evidence of political motivations or involvement in the targeting by officials outside the agency, but it condemned “inappropriate criteria” and bad management. Amid the uproar of Congressional hearings, the Justice Department has opened a criminal investigation. The IRS uses all sorts of protocols to identify potential wrongdoers. But there should be one starting point for everyone concerned about the tendency of those with power to “slight liberty”: the same basic rules concerning taxation must be applied to all, with every possible protection against the politicization of the process. It is also vital to recognize that the IRS should be applying standards, not setting them. A series of Supreme Court decisions, most prominent among them Citizens United, have radically altered the playing field—particularly with regard to nonprofit 501(c)(4) groups, which appear to be at the heart of the controversy. Money is flooding into the electoral process from all directions. And the rules about how that money is raised and spent, and what is disclosed with regard to sources and strategies, are very much in flux. It is absurd—and wrong—to expect IRS auditors to sort the mess out. Congress and the Federal Election Commission have fundamental responsibilities here. Campaign finance laws are useful only if they are updated to reflect emerging political, media and money trends. Yet Congress is often just as deadlocked on basic rule-making as it is on issues of sweeping reform. The partisan divide is now so wide that prospects for action seem increasingly slim. We like that Senate majority leader Harry Reid responded to the IRS abuses by calling for enactment of the transparency reforms outlined in the DISCLOSE Act. But we also know that getting action in the Republican-controlled House will be a daunting task. There has been no sense of urgency about setting standards for post–Citizens United politics. Americans want real reform, but too many politicians are adjusting all too well to the “new normal” of big money and uncertain rules. The IRS controversy is a wake-up call. If we want everyone to play by the rules and be treated fairly, the FEC and Congress must set standards that everyone—candidates, donors, parties, PACs, “social welfare” organizations and IRS agents—can understand and follow. In the “Noted” column this week, Greg Mitchel takes a look at the recent scandal in which Obama’s Justice Department secretly obtained phone records of AP reporters.